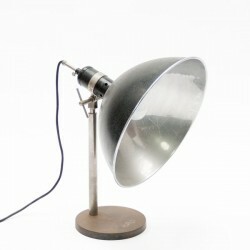 Vintage table lamp with large metal cap from the early 60s. 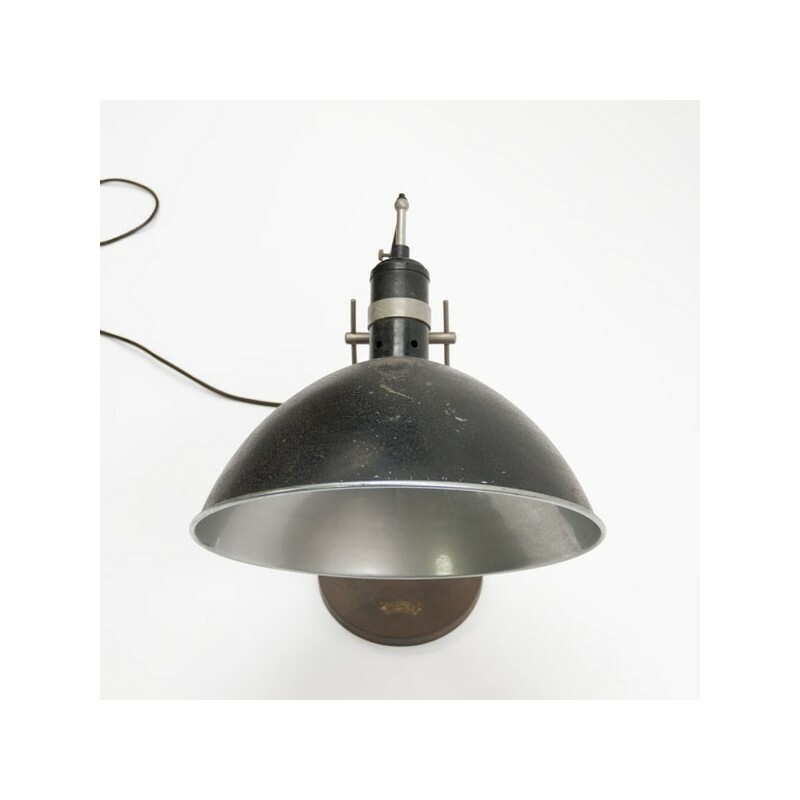 The hood of the industrial lamp is adjustable in height and direction. 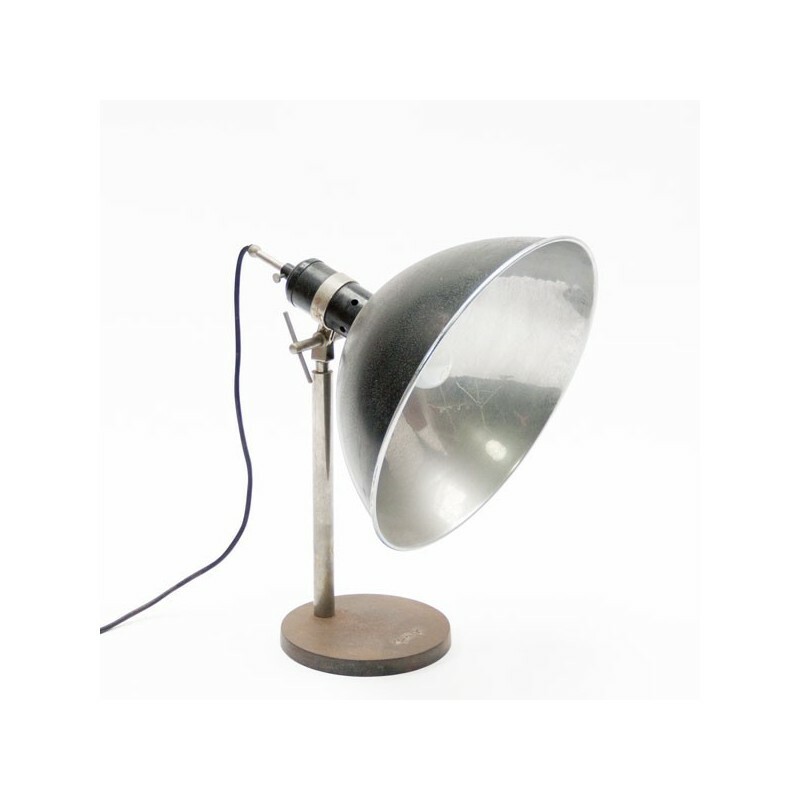 The condition is quite reasonable considering the age of the lamp, there are traces of use and oxidation visible (this gives the lamp his special appearance). The size is 45 cm high and 38.5 cm in diameter.